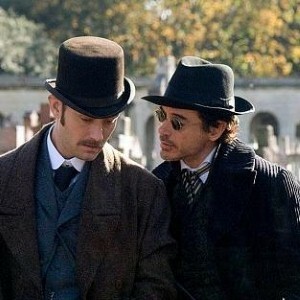 Child-friendly?The updated version of Arthur Conan Doyle’s Sherlock Holmes stars Robert Downey Jr. as the celebrated detective who brings a certain bravado to a role that has traditionally been more about exercising one’s mind than muscle. The movie takes place in Victorian-era London, and incorporates possibly supernatural plotlines as well as boxing matches. There are minimal instances of profanity and sexual situations. Because of the scenes of fist fighting and weapon use, the film is recommended for children ages 14 and up. The great Sherlock Holmes is back, and for fans of the character from years ago, prepare for a bit of a shock. The Guy Ritchie-directed film portrays Holmes in a new light with Robert Downey Jr. taking on the lead role and playing the good detective as a funny, fist-swinging investigator. However, the fabled Holmes’ mind is still in play and is put to the test when he is summoned to speak to an inmate on London’s death row who has allegedly been committing crimes outside of the prison walls despite being locked up. The detective faces the mystery head-on, and it is soon revealed that the fate of the world may hang in the balance if Holmes cannot figure out what’s going on. Along the way Holmes is joined by his sidekick Watson (Jude Law) as well as a possible love interest in Irene Adler (Rachel McAdams). Though the film may be heavy on violence with fist-fights and weapon use (some characters are shot and killed), parents may be relieved to know that sexual situations and profanity are barely present. There is one scene with a naked Holmes in bed with a well-positioned pillow, but the scene is done more for comedy.